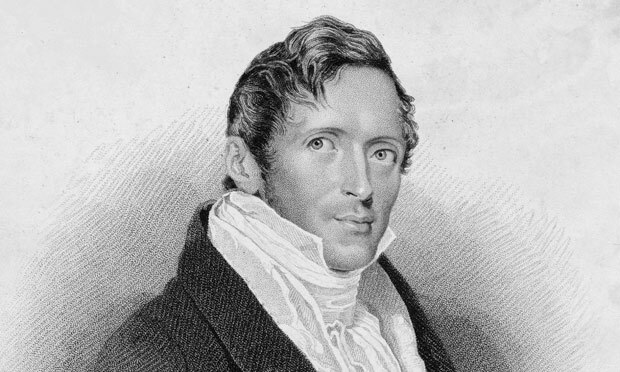 The ethos of Freemasonry has never been so best exemplified than when a member of the society can make good from bad, and Sir Thomas Stamford Raffles did just that; from the lust of Empire building that was franticly taking place during the early nineteenth century, Raffles not only founded a city when he established Singapore, but he founded an international trading centre. He created churches and schools for the indigenous population, allowed local businesses to operate, outlawed slavery in the city, and drafted the first constitution of the new Singapore, taking a complete moralistic stance on its development. Sir Thomas Stamford Raffles was born on the 6th of July 1781, on the Ship Ann, off the harbour of Port Morant in Jamaica. He was the only surviving son of Benjamin Raffles, a captain trading in the West Indies. As a child Raffles was sent to an Academy at Hammersmith, then, at the age of 14 he became an employee of the East India Company, working as a clerk at East India House in London, an event which was to determine the rest of his relatively short life. Raffles held high ambitions, and he gained the post of Assistant Secretary in Penang, and with a large increase in salary, he then married his first wife Olivia before setting out for Southeast Asia in 1805. He had a passion for knowledge, and learned the Malayan language on the voyage. This new position opened up a new world for Raffles and he entered into the sphere of colonial networking, finally joining Freemasonry in July 1812, in the Lodge Virtutis et Artis Amici, in Buitenzorg, Java, under the Grand Orient of the Netherlands. He was subsequently raised in the Lodge De Vriendschap in Surabaya, Java, in July 1813, serving as Worshipful Master the same year. His close friend and associate Thomas McQuoid was also a Freemason and a founder of the Lodge Neptune which was based in Penang and McQuoid was ‘Perfected’ with Raffles in Rose Croix Chapter La Vertueuse in Batavia in 1816. Thomas McQuoid became a long time friend and business partner of Raffles, supporting him in key decisions as his confidant. Raffles’ wife had died in 1814, and certain charges had been made against him regarding mismanagement and improperly purchasing land. Raffles also succumbed to Ill health – something which plagued him during his career in Southeast Asia – and forced him to leave Java and return to England on the 25th of March of 1816, just after his ‘Perfection’. On his journey home, Raffles stopped off at St. Helena, meeting Napoleon, referring to him as a ‘monster’. Back in England, with his health recovered, he remarried; he was made a Fellow of the Royal Society, published his work The History of Java and was knighted, receiving support from Princess Charlotte, the daughter of the Price Regent – the future George IV. Raffles was celebrated while in London, the charges against him were dropped, and he was offered the position of Lieutenant General of Bencoolen – a British garrison located in south west Sumatra. He took up the position and after arriving at Bencoolen, with renewed confidence he immediately set about bringing in new reforms. In 1818 he passed a new ‘Regulation’ that would bring about the eventual abolition of slavery in the area and banned cockfighting. The slave trade had been abolished in Britain in 1807, but slaves were still kept throughout British colonies, such as the West Indies and throughout settlements in Asia. Even after the Slavery Abolition Act of 1833, the territories of the East India Company remained exempt. English Freemasons had been as divided on the issue of slavery as much as the population of England had been, with some Freemasons – especially in the port of Liverpool – such as merchant Thomas Golightly and Liverpool MP Sir Isaac Gascoyne, openly supporting the slave trade before its abolition in 1807. Internationally, divisions on the issue of slavery were still evident among Freemasons, most famously with the American brethren; with George Washington keeping slaves, and Benjamin Franklin being an ardent abolitionist. Raffles had a moralistic passion which drove him on to introduce new reforms in the new colonies liberalizing the severe Dutch colonial system and to curb Dutch expansion in Southeast Asia. He was overtly anti-slavery and held a modern vision for the governance of Bencoolen; he had sent fellow Freemason and politician George Canning a memorandum which set out his aims – especially mentioning the idea of establishing a station at the eastern exit of the straits of Malacca before the Dutch did. The Dutch were always a problem to the British in Southeast Asia, and Singapore, which became the hub for the British Empire in Southeast Asia, was to be free of Dutch influence. George Canning was a supporter for the abolition of slavery, and was at the time serving as the President of the Board of Control, an office that was responsible for overseeing the East India Company, and thus Canning was very much interested in British influence in South East Asia. Canning had become a Freemason in 1810 and he joined two of the most prestigious lodges in London; Lodge No. 4 which was one of the four original lodges that had formed the ‘Premier/Modern’ Grand Lodge of 1717, and the Prince of Wales Lodge No. 259, the membership of which included the Prince of Wales himself. Canning was a well connected gentleman, and was also a member of a number of clubs in London such as Whites, giving an ambitious politician such as Canning a nexus of powerful contacts. Raffles became intensely involved in the settlement and administration of Singapore from 1819; partly surveying the island, setting out plans for settlement, establishing places of education and worship and in 1823, he drafted the constitution of Singapore, specifically prohibiting slavery and gaming – following his moralistic stance which he had practiced in the administration of Bencoolen. Tragedy had struck while Raffles was in Bencoolen when, after an outbreak of dysentery, he lost three of his children. His own health had suffered once more, and after finalising the constitution of Singapore, he set off on his final journey for England. He finally returned to England on 22 Aug 1824, over a year after he left Singapore, founding the Zoological Society of London in Apr 1826, along with various members of the nobility, clergy, eminent naturalists and gentlemen, some of whom were also Fellows of the Royal Society. Raffles had always been interested in making notes of the plants and animal life of Southeast Asia – but most of his specimens and effects were destroyed in a fire on a ship as Raffles set off for England. He became its first chairman and president, and his zeal for zoology and botany – and indeed the promotion of them as a science, is in tune with Raffles’ passion for education. Raffles died of apoplexy, a day before his 45th birthday on the 5th of July, 1826. He had been suffering from bouts of illness for some years. Because of his anti-slavery stance, he was refused burial inside his local parish church, St. Mary’s in Hendon, by the vicar, whose family had made its money in the slave trade. Stamford Raffles was an extraordinary man, his courage in banning slavery from the colonies under his jurisdiction, and his zeal for education testifying to his modern outlook. It is no wonder that in parts of Southeast Asia today, he is celebrated through Freemasonry. The Dutch Freeasons were probably the first to set up an organised lodge in the Far East, but the beginnings of Singapore’s Lodge is traced to the founding of Freemasonry in the Eastern Archipelago. This began with the establishment of the Lodge at Bencoolen in 1765. Raffles certainly attended a number of lodges in the region – Lodge Virtutis et Artis Amici, in Buitenzorg, Java, Lodge de Vriendschap in Surabaya and Chapter La Vertueuse in Batavia. Such was the influence of Raffles that the local Lodge bears his name and coat of arms as their insignia. Freemasonry in Singapore began with the first ‘mother’ lodge, Lodge Zetland in the East No. 748 E.C established and consecrated on the 8th of December 1845, in a house at Armenian Street. At that first lodge meeting, twelve leading members of the small European community in Singapore – among them senior lawyer, William Napier, deputy superintendent of police, Thomas Dunman and Straits Times editor, Robert Carr Woods – were proposed for initiation. On the 15th of December 1845, William Napier became the first initiated Brother, next was prominent citizen Mr William H. Read followed by soldier, Lieutenant Benjamin Bloomfield Keane. Other notable Freemasons in Singapore’s early history included the first attorney-general,Thomas Braddell; Rajah of Sarawak, James Brooke, Admiral Henry Keppel, John Coulson Smith, former headmaster of Raffles Institution, and Thomas Owen Crane, Justice of Peace, and trustee of Raffles Institution. The Masonic Hall in Singpore was built in 1879, and was known locally as the ‘Haunted House’ as the local people misunderstood the ceremonies that went on there. The above article is copyright to Dr David Harrison 2010. The article previously appeared in Freemasonry Today, 2010.